True Mixed Media Art Made with a Mix of Techniques. Folding, Dying, Sewing, Layering & Combining Fibers. 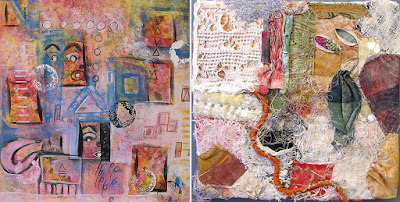 Mixed Media is one of the most varied artistic techniques. By nature, it is an open and flexible art, allowing anyone who dares to dabble an opportunity to create a style all their own through chosen materials and processes. 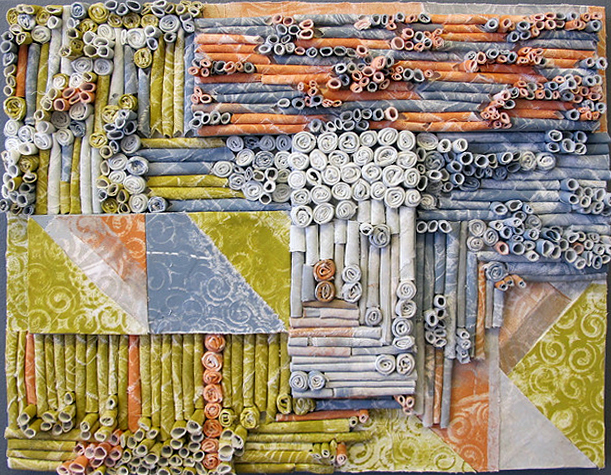 Austin based Lynne Brotman is quite adept in this area with fiber as her go-to medium. 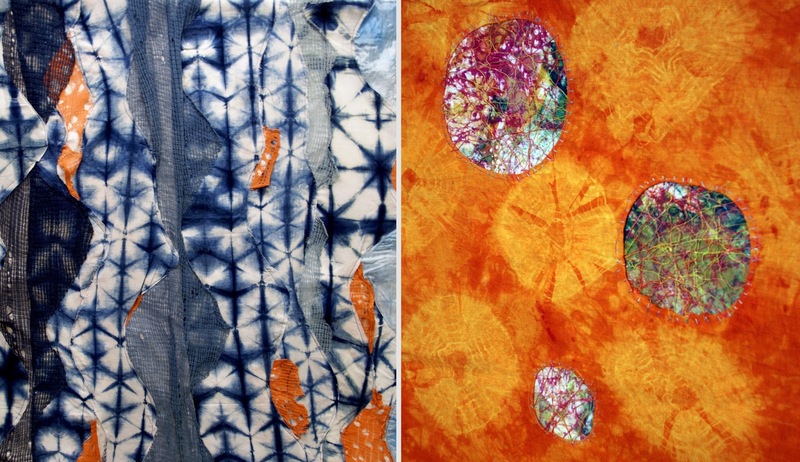 Many of her pieces are abstract and symbolic in the way she layers texture and color. Every work is a little different as she finds creating to be very spontaneous and in the moment. She commonly works with silk, linen or cotton fibers which she folds, sews, dyes, stiffens and otherwise manipulates until the desired representation takes form. Most of her pieces are designed to be wall hangings that tell a story through her own symbology, and many end up three dimensional in their many layers. 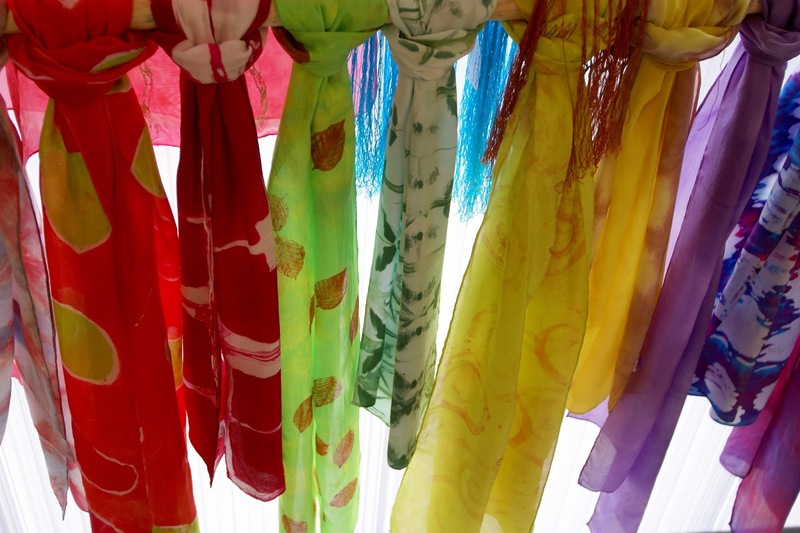 Lynne is especially passionate about the dyeing techniques she’s learned as another way to make a mark on fiber. 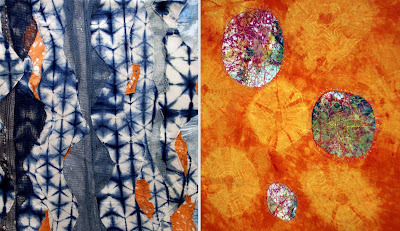 She had the fabulous opportunity to spend time in Japan learning the ancient method of Shibori directly from a master. 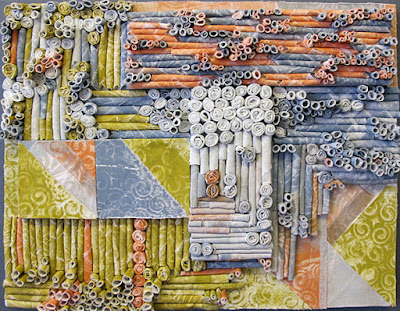 With stamps, stencils, wax and fiber pens, she is able to apply ink in ways that create beautiful designs. She may then use that hand dyed fabric in her mixed media or let it stand alone as the piece of art itself. To truly work a medium you have to know it well and hone your technique. The wonderful ways Lynne has continually evolved her style and skill have made her quite the Mixed Media Fiber Art master!